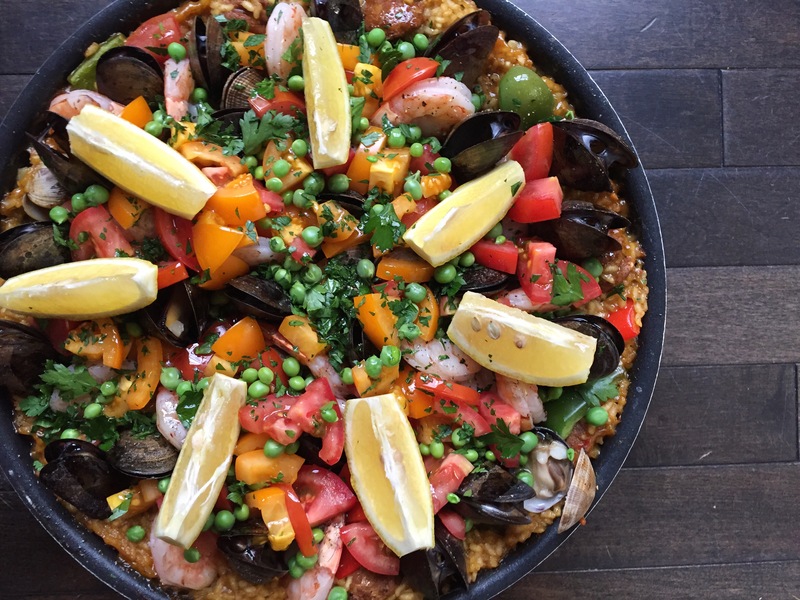 You probably have a few dishes in mind that evoke the “oh no, that’s too complicated” sentiment… Beef Wellington, Risotto, Profiteroles… Paella? 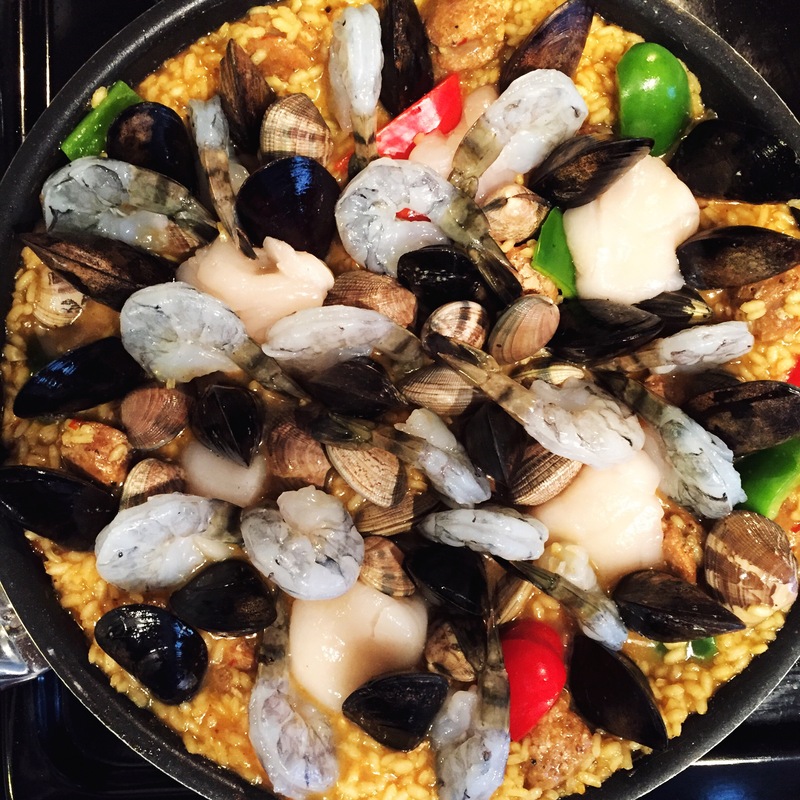 Well, we’re here to tell you that Paella is not actually a difficult dish. AND it’s best whipped up with friends in the kitchen (and a glass of wine, of course). 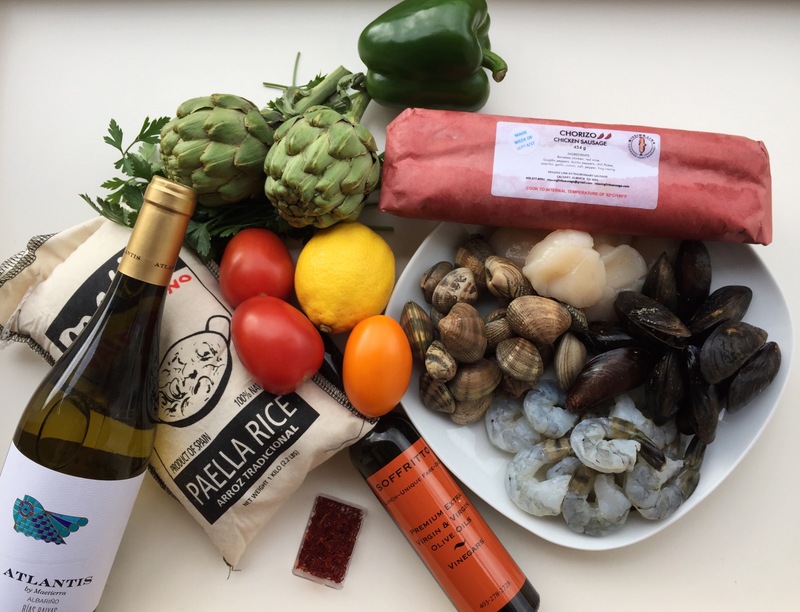 This easy to make version uses chicken chorizo and seafood, and everything can be found right here at the market. Yes, the wine too! 3 cups Chicken stock from Stock & Sauce Co.
Preheat frying with about 1 tbsp of olive oil. Saute onions until lightly brown. Add the chicken chorizo and cook through. When cooked, set aside. Add a healthy glug of white wine to deglaze your pan. Add the rice and saffron, stirring for a minute or two. Stir until wine is absorbed. Add 2 cups of hot chicken stock, 1/4 cup at a time. If you add cold stock to the pan, it takes much longer for the rice to absorb and keep coming back up to temperature. Heating your stock will ensure this is an easy (and speedy) dish. Stir rice as you add each 1/4 cup of stock until it is absorbed. This is the best time to pour yourself and your guests a glass of wine. Stir, sip, laugh. Repeat. Add the last cup of hot chicken stock. Stir in the cooked chicken chorizo. 10. Arrange the seafood atop the rick, tucking the morsels of deliciousness in every spot you can. 11. Bake in a 375ºF oven for about 15-20 minutes or until the mussels and clams open. 12. Add the peas, artichoke, and tomato and bake for an additional two minutes. 13. 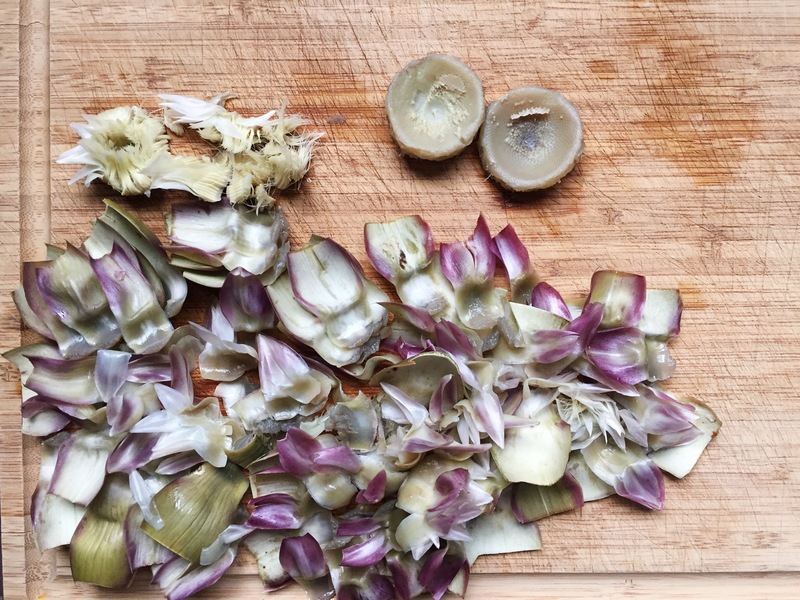 Garnish with parsley, lemon wedges, and Fennel olive oil. This Atlantis Albarino (pronounced Al-bar-ee-nyo) is a grape variety indigenous to Spain. This wine is perfect if you love pinot grigio or sauvignon blanc and you’re looking for something new to try. It is fruitful & refreshing with a crisp and clean finish making it very food friendly, from salads to grilled meats, and especially paella! Plus, it’s only $18.95. Here at the CFM it’s no secret who the best perogy-maker in the market is. Margarita Kordoner has been in the business longer than some of her customers have been alive. She makes everything from scratch every week including her cottage cheese which she has been perfecting for 38 years! We asked her to give us her best tips and show us her process for these palatable perogies. On top of learning from the best we had fresh local Saskatoon berries from The Jungle Farm to work with! How can we lose?! 1. Mix the flour, salt, egg, and water together for your dough. If you find one aspect of the dough is off, adjust your dough accordingly. 2. Roll out the dough to roughly a 1/4 inch thickness. 3. Use a cookie-cutter to cut out round shapes in your dough. 4. Pile small amounts of cottage cheese and 3-4 berries in the middle of each round. 5. Fold the round in half making sure to contain and stuff your filling inside, then pinch the sides shut with your fingers. 6. Once you have pinched all of your perogies shut, lay them flat on a cookie sheet and freeze them for 2-3 hours or until you are ready to make them. 7. To prepare perogies you boil them like pasta. For 1 dozen perogies bring a medium saucepan of water to a boil then dunk them in. They don’t need long, maybe 5 minutes. 8. Serve directly on to a plate and eat either alone or with your favorite sauce! We promise you won’t be sorry!